Life-saving veterinary procedures take place almost daily at the OHS Holman Medical Center, a state-of-the-art animal hospital that averages more than 12,000 surgeries annually. The 4,000 sq. ft. medical center includes three surgical suites, a digital x-ray unit, a laboratory, a pharmacy and recovery rooms for cats and dogs. Every pet adopted by OHS is spayed or neutered at the hospital. Thousands of additional pets are spayed or neutered for little or no fee as part of the area-wide Spay & Save program serving low-income families. The care provided by the center’s 19-person medical team is a major reason why OHS has maintained a near-zero euthanasia rate for pets who arrive at the shelter in need of the level of medical care a typical owner would want for their own pet. In addition to spay and neuter surgeries, veterinarians at the center perform more than 1,000 emergency and other needed surgeries each year. Student Alexis Johnson (right) during her rotation at OHS, under the supervision of Dr. Kirk Miller. The hospital is also a one-of-a-kind teaching facility. In partnership with the Oregon State University College of Veterinary Medicine, veterinary students complete a three-week primary care rotation at the hospital under the guidance of a full-time OSU faculty member. Upstairs are dormitory rooms for the students. “Having students so close by is exceptionally convenient,” said Dr. Kris Otteman, OHS Vice President of shelter medicine. 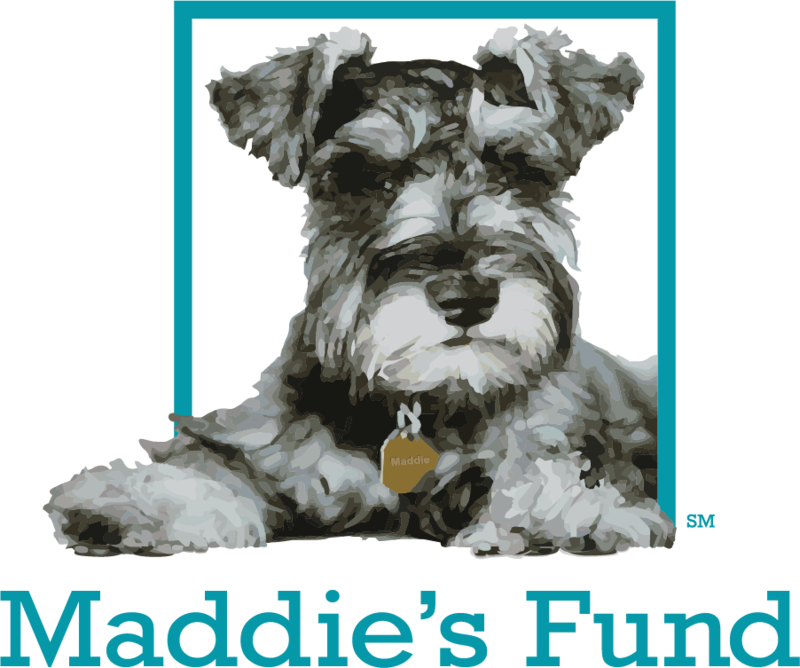 In 2017, the hospital once again received top marks from the nation’s leading accreditation organization, making it just one of a dozen humane societies in the nation to meet the exacting standards of the American Animal Hospital Association. Did you know that accreditation for animal hospitals is voluntary? Surprising, isn’t it? In actuality, only 12-15% of animal hospitals have gone through the accreditation evaluation process by the American Animal Hospital Association (AAHA). The OHS Holman Medical Center is proud to be an AAHA-accredited hospital. 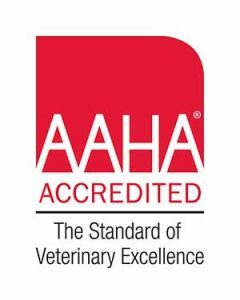 Accreditation by AAHA means that an animal hospital has been evaluated on approximately 900 standards of veterinary excellence. To maintain their accreditation, hospitals undergo a rigorous review by veterinary experts every three years. State and provincial regulations can vary widely–in fact, some states don’t routinely inspect hospitals, only going in for an inspection when a complaint is filed by a pet owner. 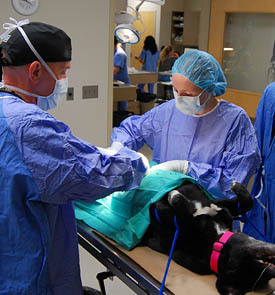 AAHA accreditation is considered the standard for veterinary excellence, and does not vary between states or provinces (AAHA accredits hospitals in both the US and Canada). Learn more about AAHA accreditation and why our accreditation is important to you and your adopted pet. Visit aaha.org/petowner. Named for Philanthropist Thomas Holman, Sr. The OHS Holman Medical Center is named after Thomas Holman, Sr., whose $1 million gift was instrumental in completing the AMLC fundraising drive.